Rip Saws are designed for sawing only with the grain of the lumbers. Cut-Off Saws are designed for cutting only across the grain of the lumber. 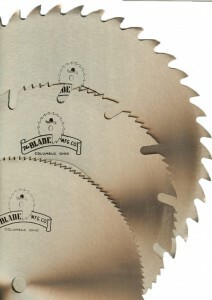 Combination Saws are designed to be used either across or with the grain of the lumber. They are especially recommended for applications where it is impractical to change blades frequently.